Blue Tansy Essential Oil is very blue. A kind of blue that’s hard to match anywhere else in nature—a deep, mesmerizing, and incredibly rich shade of dark blue that is simply stunning. Its intense color is matched by its powerful, robust aroma, as both are very unique and beautiful. Traditionally, this beautiful bright yellow flowering plant has been used for digestive problems, fevers, and wound healing. Today, this versatile essential oil continues to have many practical uses for just about anyone! 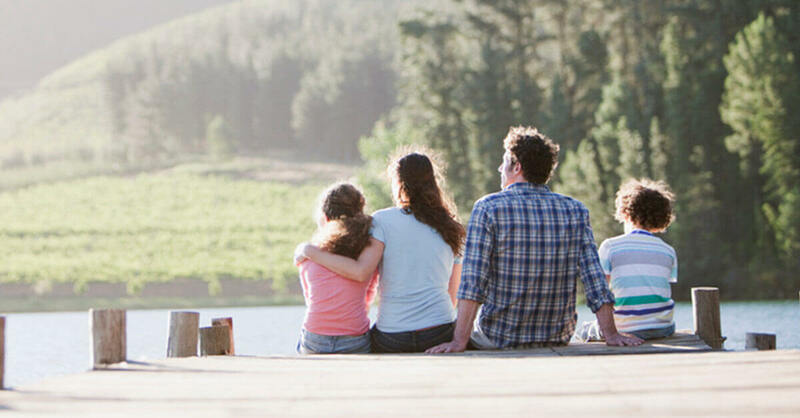 Not all of us get to step outside into the fresh, crisp air and enjoy those deep, revitalizing breaths. Depending on the time of year, particularly in the spring and fall, pollen from trees, grasses, and weeds can cause some pretty miserable allergy symptoms. Blue Tansy is an absolute powerhouse of an oil when it comes to combating those struggles many of us face. It helps open our airways, allowing for easier, more comfortable breathing. In a personal aromatherapy inhaler, add 2 drops of Blue Tansy, 4 drops of Saro, 3 drops of Ho Wood, 2 drops of Lemon, and 1 drop of Cedarwood Atlas. Take a deep sniff whenever you need some respiratory relief! For a KidSafe version, replace Saro with Rosalina or Helichrysum Italicum. Red, inflamed skin is always an unwanted visitor. 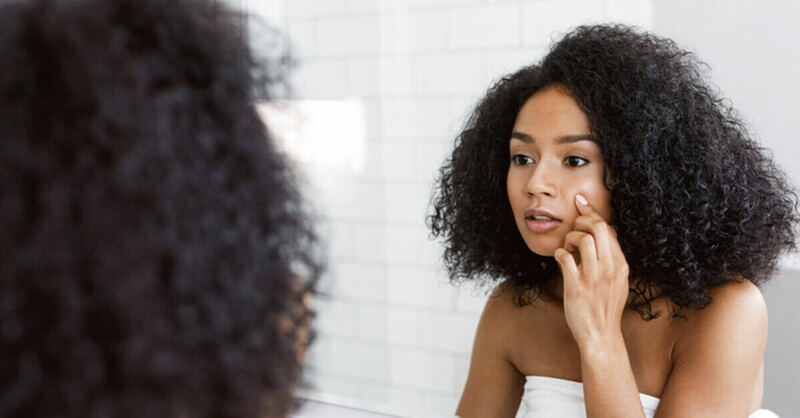 Whether it’s on your face, hands, legs—anywhere—we want it gone as quickly as possible! Adding Blue Tansy to your skincare routine can help reduce redness and irritation, while also promoting healthy skin overall . For facial application, we recommend a 1% dilution. So, if you have about 2 teaspoons of carrier oil, lotion, or cleanser, simply add 2-3 drops of Blue Tansy and continue using your product as you normally would. It is great for dry and sensitive skin and is perfect to add to any skin-loving blend you may already have. If you want to use Blue Tansy on other areas of your body, a maximum of 4% dilution is safe. If you’re wondering about this blue oil staining your skin, rest easy. When properly diluted, Blue Tansy will not stain your skin. However, it can stain fabrics and should be handled carefully. Blue Tansy houses a pretty unique chemical component called chamazulene. Not only is chamazulene what gives this oil its stunning blue hue, but it is also known to reduce discomfort associated with inflammation. When muscles and joints are overworked or just in pain from the normal wear and tear of life, using Blue Tansy topically can provide relief. It’s absolutely perfect for a comforting bath blend. Mix 9 drops of Blue Tansy in one tablespoon of body wash and 1 cup of Epsom salt. Pour into warm, running bath water and enjoy! For topical application, use a tablespoon of your favorite carrier oil and up to 18 drops of Blue Tansy (this makes the max recommendation of 4%). For a topical blend to help cool the flames of inflammation, try this recipe: in one tablespoon of the carrier oil of your choice, add 6 drops of Cypress, 4 drops of Blue Tansy, and 2 drops of Chamomile German, and 1 drop of Helichrysum Italicum. Need some relaxation or feelings of encouragement? Blue Tansy’s complex and sweet aroma is great to soothe a worried mind and promote a sense of calmness that can help power you through stressful times. Try it in a diffuser using 1 drop of Blue Tansy with 3 drops of Bergamot and 2 drops of Cedarwood Atlas to help recover some wellbeing after a long day. Want a peaceful and calming massage blend? Add 5 drops each of Tangerine and Orange Sweet, and 1 drop each of Ylang Ylang, Patchouli, and Blue Tansy to an ounce of our Marvelous Massage Carrier Oil Blend. To make this blend KidSafe, just replace the Ylang Ylang with Bergamot or Lavender. We would be amiss not to mention a couple of contraindications Blue Tansy can present. Chamazulene presents a risk of drug interaction with several types of medications. 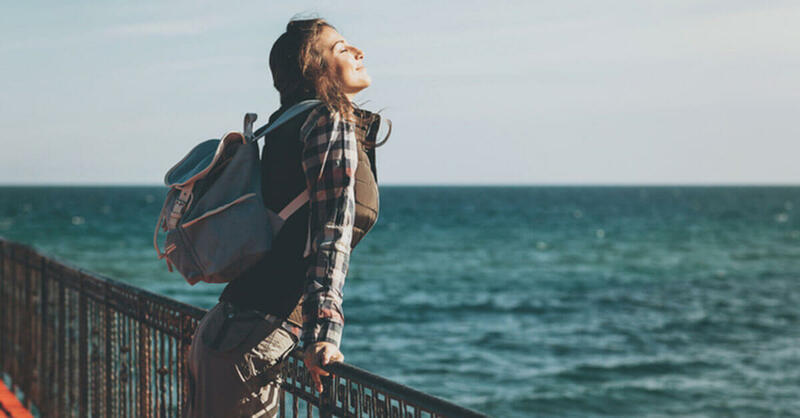 This includes some analgesic, antiarrhythmic, antipsychotic, and anti-depressant medications, as well as those containing estrogen and serotonin . If you have any concerns about this, please reach out to our aromatherapists at [email protected] for more information and how this may affect your particular situation. Want to learn more about Blue Tansy? Check out these blogs! Purchon, N., & Cantele, L. (2014). The Complete Aromatherapy & Essential Oils Handbook for Everyday Wellness (Novato, CA: New World Library. Pg. 111. I may need to get this for allergy season! Time to email about drug interactions! I’ve had Blue Tansy for a few months now, and used it for allergy relief and a blend for confidence. I am working on a blend to use it in my skin care routine as well. I love how versatile this oil is! Thank you for the additional info–helpful. I used this with laurel leaf for sore thumb muscles and forearms after an intense several days of shoveling/chores/computer work; I was amazed with the relief in the morning plus it was a soothing aroma assist sleep. Thank you. I have had Blue Tansy for a while now but never really appreciated. Recently I discovered how much I really love it, thanks to this spotlight special I was able upgrade from my almost empty 2.5ml bottle to 5ml. I am super excited to use it more often now that I have more. Thanks for reminding me how versatile this blue beauty is. This is so helpful! This is going in my shopping cart! I have been interested in blue tansy for a while now. However, I am hesitant because I have heard that some find the smell quite awful. I love roman chamomile. Is the scent anything like the roman chamomile or is it quite different? I am admittedly not the biggest Blue Tansy fan based purely on smell alone but it works wonders for allergies. However, I had no idea it is also good for inflammation! That gives me a whole new outlook on it. Also, thank you for the information regarding possible drug interactions. Definitely good information! Very glad I tried this! I added it to the wintergreen and Marvelous Massage carrier oil….I gave samples to friends at church and they all agree with me that it takes down pain and inflammation! What a beautiful color blue….rare and precious….thanks for sourcing this gem! I love the fact that Blue Tansy is so versatile. I was very surprised at how blue the color really is. It can stain clothing or counters so I’m extra careful when using it in blends. Just got this in! Can’t wait to use it. I had no idea blue tansy helps with redness. I can’t wait to try it out, I’ve been trying to find something for my facial redness for a while. Thanks for the info! I had no clue Blue Tansy had all of these benefits! Thanks for this information! I will definitely be purchasing soon. This is a super helpful blog post. Im expecting blue tansy in the mail soon and was looking for some different ways to use it. Blue tansy, is one of favorites and I love the blue color. I primarily use it for facial care but I now look forward to trying new things with it. Thank you for the dilution conversion! Love blue tansy! I just received let it go synergy blend and it’s so calming. Will be definitely ordering a single bottle of blue tansy soon. If I wanted to make a roller bottle blend with blue tansy in it, what carrier oil do you recommend for it? Thanks! I LOVE THIS SCENT!!!!!! First discovered it at work when we ordered new stuff for a neighborhood fair. I cant wait to buy some of my own. Blue Tansy is such a great oil! It took a while for the scent to grow on me but now it’s one of my favorites. We love it for seasonal allergy relief! Who knew it had so many uses? Great article, thanks! I love Blue Tansy, helps with allergies. Did not realize blue tansy was good for the skin too! I originally bought it for allergies. Thanks for all the recipes and ideas! I have made a master of the peaceful blend. Since this is part of the ragweed family do you think it would cause any upset allergy wise if I make this for someone who has seasonal allergies (ragweed and mold related)? Blue Tansy is such a great scent! The color makes it extra special! I can’t wait to create a new blend! Thanks!!! This is really helpful! I especially appreciate the Bright and Cheerful blend recipe. Thanks! wow this is amazing to know and learn all of this for the blue tansy. I never tried it before but I will definitely buy it. Great read, learned a lot! As amazed I am to all the benefits Blue Tansy oil can bring, as hesitated I am to decide whether to buy one. I love essential oil for their health support but also because of the sense. If only we have sampler line. I love to use blue tansy for facial care! Thank you for the other tips, and especially for the dilution conversion. I’m really interested in this oil, but also super concerned about the blue color :/ I can just imagine my clumsy self getting it all over something! 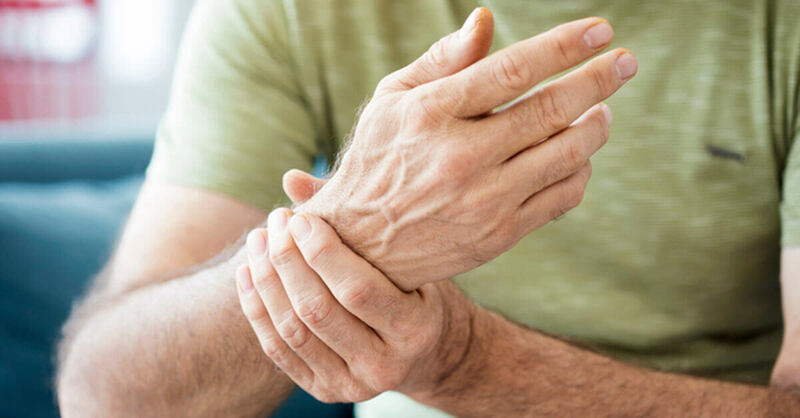 Well, my carpal tunnel just got inflamed and the perfect oil to solve it is Blue Tansy which is 15% off – lucky me. Can’t wait to get my bottle! Can Blue Tansy be used for arthritis? Also, does it have a strong aroma? It seems pretty versatile. Jennifer, Blue Tansy has a very intense aroma, so a little goes a long way! It is great for inflammation, making it helpful for symptoms of arthritis. I hope this helps! Thank you for this article! I had no idea how versatile Blue Tansy is. I really appreciate the list of possible interactions. This oil is so beneficial! Would the Bright and Cheerful inhaler blend work OK in a diffuser necklace? I’m excited to apply some of the knowledge I got from this blogpost! Belinda, the answer to this is “yes”…kind of. In a diffuser necklace, we recommend a single drop, which obviously means we don’t suggest adding each of the drops of the Bright and Cheerful recipe to your necklace. However, you can mix the recipe up in a bottle or small container, then use a pipette or dropper to transfer a single drop to your necklace. This is actually a great way to reuse any EO bottles you might have around; fill it with a blend you love, then use a drop at a time for your necklace 🙂 I hope this helps! Still learning about all the essential oils out there. Great to know this is a safe place to learn. This information about Blue Tansy was very helpful! Time to use it in a bath! Thank you. Thank you for giving me more ideas on how tonuse Blue Tansy! Blue Tansy is my newest oil love! I’ve started using in blends to help my son with his anxiety and it’s been a beautiful tool to add. Thank you Plant Therapy for spotlighting this lovely oil! I had no idea that Blue Tansy had so many fantastic uses! Can’t wait to try it! Can’t wait to try this oil!! It made me wish I had ordered my other oils one week later!! But then I would never get to place my orders! Love learning about the oils in these weekly spotlights! I already love the smell of blue tansy, but it’s so interesting to learn about new uses for it that I didn’t know. What a versatile oil. Definitely need to use it more! I have always wanted to try this one, thanks for the tips! Blue Tansy is incredibly grounding. It’s great for bringing you back into your body, reducing that ‘scattered’ feeling and helping with brain fog. 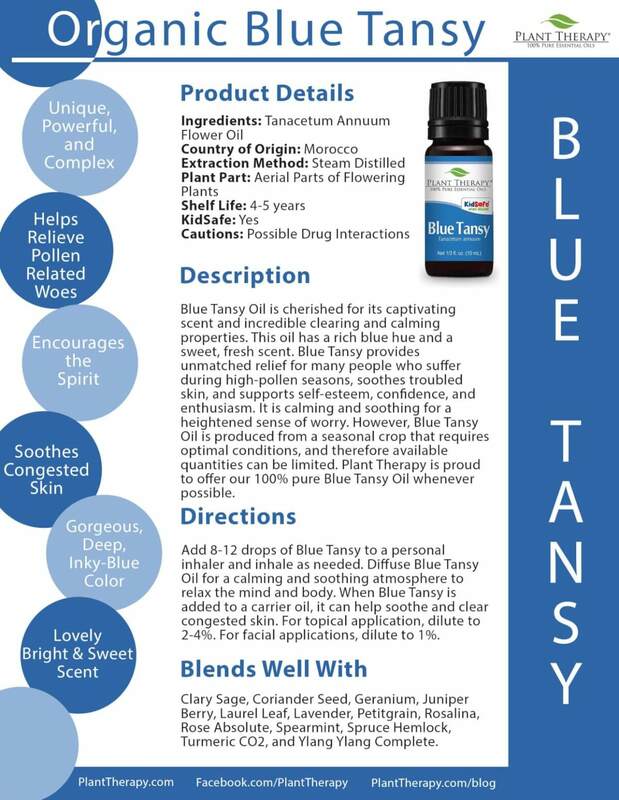 Thank you so much for this information on Blue Tansy ~ I bought it without knowing how to use it. Love the diffuser recipe! As a sidenote, would PT ever consider selling laminated copies of the info sheets! I’ve downloaded some, but I’d love a ‘library’ of pretty versions! Thank you for this post! My kids suffer from seasonal allergies and my oldest has asthma. I will be using this in the future to help combat their discomfort. Also good to know that it is an inflammation fighter!! Excellent!! I love using blue tansy for skin issues. I have it blended in an anti itch roller and a zit fighter type roller. Works amazingly for bot! Wow, this oil sounds incredible! I appreciate the broad coverage of the properties. I would like more information on the background of these products, ie: when did they come into play for us? What tribes discovered them, and what were their application methods? Thanks PT! Im so putting this in my next order. Blue Tansy is such a great oil to have in your oil collection. I love it for minor skin irritations, wind burn, and chapped areas. 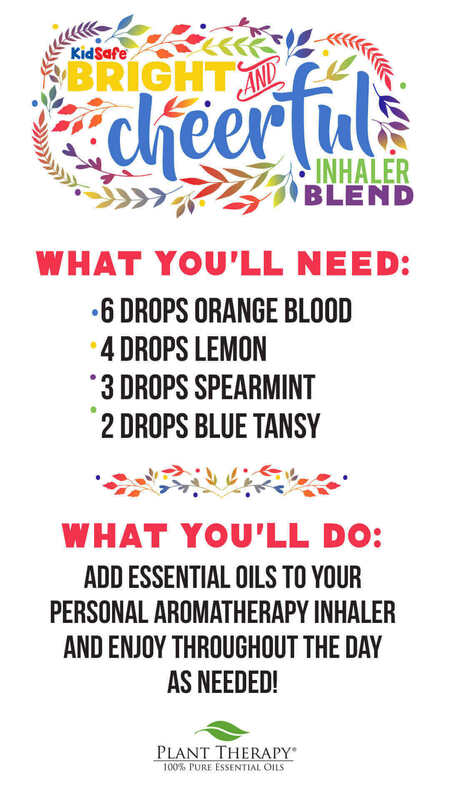 Thanks for sharing the inhaler blend – another great way to use Blue Tansy. Great information. I have been adding a little when face flares. May just add to my regular routine. Also son is a baseball player and this could be great for use in the roller ball I have made him for elbow pain. Definitely will try these out. Fortunately I have everything needed! That’s awesome! We hope you have fun with the recipes! I love blue tansy in my blends, and now I’ll know better how to use it on its own. Thank you! I just splurged and treated myself to a 10mL bottle of Blue Tansy because of the sale. I’ve never gotten to smell Blue Tansy on its own, outside of a blend, before, so I’m super excited! Looking forward to creating my own blends with it. This might be a silly question, but do the other “blue” oils counteract redness too? Like German Chamomile and Blue Cypress? I know Blue Tansy is in one of the kid’s bedtime synergies (I think it’s Nighty Night, but can’t remember off the top of my head.) Is it included in that blend just for the calming properties, or does it have other sleep-inducing effects? I’ve been very curious about this oil. Thanks for the article highlighting its various uses. Even though it’s early February, Pollen is already present here in Florida. Can’t wait to try this natural remedy as allergy medicine gives me a groggy/foggy feeling and leaves me unable to focus at work. Bonus: blue is my favorite color! This is great info! I’ve noticed Blue Tansy in some of my synergies but I had no idea it had so many beneficial uses! I’m going to need to get some! Thank you for this helpful info. We PT fans often get so excited about an oil on sale or a new to us oil that we buy them and often don’t know how to use them. That wa the case for me buying blue tansy. Its been sitting in my oil box and not knowing exactly how to use it until now. Thank you for continuing excellence in teaching us! I’m so glad I read this article because my daughter was just telling me we should get Blue Tansy. I knew it was great for the mind and skin, but had no idea it could help ease pain or help breathing… two other problems I face. So this oil seems like a perfect fit for me 🙂 Cant wait to try it! Thank you for this article! I want to love blue tansy and these ideas are great for me to try. I was hesitant to use it because of the color but now I’ll try all of these recipes. I’m glad to know about the pollen assistance as well because my whole family suffers since moving to Texas six years ago. I’m also grateful for the extra information on the specific medications blue tansy can interact with. Appreciate the knowledge!